With updates like Hummingbird, Google is getting better and better at determining what's relevant to you and what you're looking for. This can actually help our work in SEO, as it means we don't have to focus quite so intently on specific keywords. 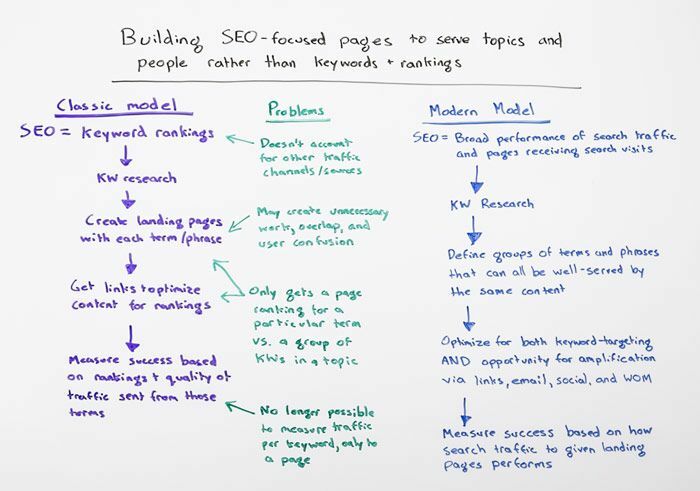 In today's Whiteboard Friday, Rand explains how focusing on specific kinds of people and the topics they're interested in can be even more effective in driving valuable traffic than ranking for specific keywords.